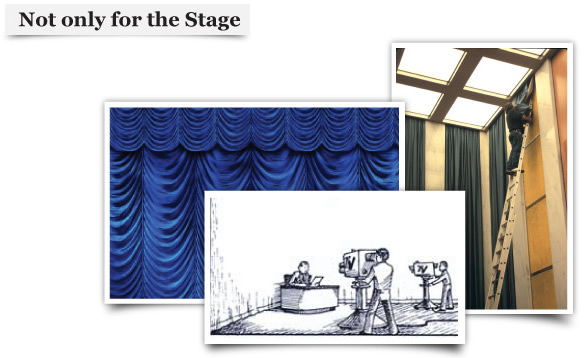 Our products include all stage curtains including the Valance, Front Curtain, Backdrops, Side Curtains, Borders, Legs, Mid Stage Traveler, Scrim, Rear Curtain, Cyclorama, and Sky Drop. On top of making Theatrical Curtains, we also offer Studio Curtains, Room Dividing Curtains, and Acoustical Curtains. Our custom stage curtains are perfect for any theatrical stage, school stage, church stage, convention centers, and university stage. Divide office spaces or classrooms with our Room Dividing Curtains or use our curtains for studio backdrops.